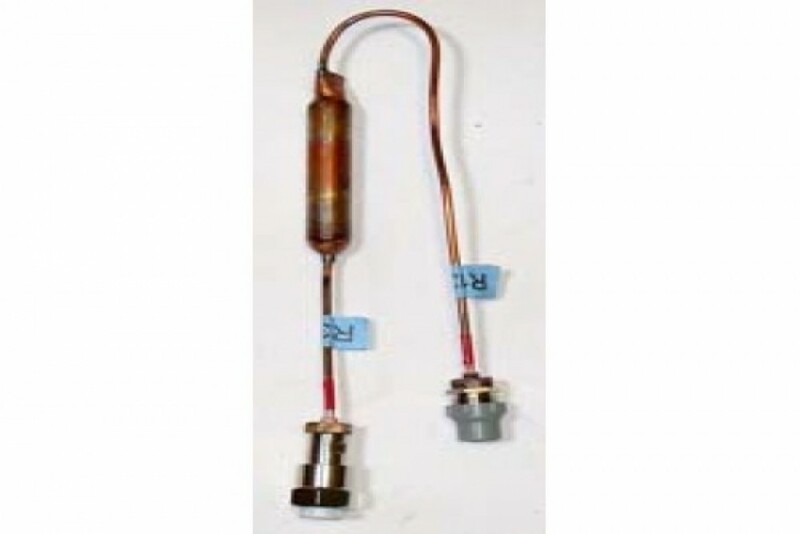 There are several remedial uses for this device to address a capillary tube blockage or evaporator plate damage: - When a damaged evaporator plate needs to be replaced, this device will reduce the risk of contaminating the compressor. - To address an excessive level of moisture in the system, introduced through poor servicing techniques, or from being drawn in as air from a leak on the suction side of the system when in a vacuum. The system should be evacuated by a professional marine refrigeration technician, any leaks repaired, and this Filter/Drier installed. - When suspected dirt or debris is blocking the capillary tube, and remedial actions are unsuccessful, then the evaporator needs to be replaced and this device installed in line. An alternative solution to this last problem is the Cap Tube Filter; no evaporator replacement is necessary, but a professional marine refrigeration technician is required. Comes precharged with R134a and the exclusive quick disconnect Frigoboat fittings.